Kranjska Gora is said to be one of the best starting points to explore the intact nature surrounding it. There is a bicycle trail connecting Jesenice with Tarvisio (Italy) and Austria passing through the village and waiting for you! For the more advanced cyclers the trail leading to the mountain pass Vršič can pose as a unique challenge for most. Only a couple minutes away from Hotel Kotnik there is a bike park, for all who would like to try something extreme. Welcome! 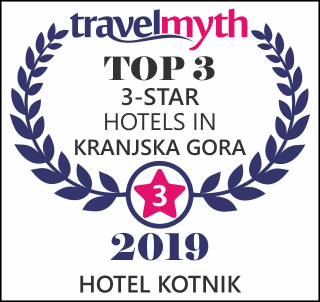 Hotel Kotnik*** is located in the peaceful centre of Kranjska Gora. We offer all our guests a spacious garage, where you can store your bicycle. You can then relax and enjoy a nice cold beer on our welcoming terrace. Easter holidays in Kranjska Gora!